The exam period has now run its course, and it’s almost possible to hear the sighs of relief from undergraduates echoing up and down the corridors of the School of Arts building! I hope that everyone got on well, and is now having some well earned rest. If you do now have a little more time on your hands than you had previously, then you might like to take advantage of a couple of free Curator’s Tours of the current Peltz Gallery exhibition, Mr A Moves in Mysterious Ways, being run on Wednesday 14 June, at 1pm and 2pm, as part of London Creativity and Wellbeing Week. If you haven’t yet had a chance to drop into the gallery and have a look around the display, then please do so – it’s a very powerful exhibition of objects made by residents of a British psychiatric hospital between 1946 and 1981, under the guidance of art-therapy pioneer Edward Adamson. Academic staff are, of course, busy with all those exam scripts, but research activities continue apace. Some of you will remember me writing last summer about the wonderful news that Professor Fiona Candlin has been awarded around £1 million by the Arts and Humanities Research Council for a project to map and analyse the UK independent museums sector, from 1960 through to 2020. This is a monumental undertaking, taking place across four years. Records of the around 1600 independent museums currently operating in the UK, and those that have opened and closed since 1960, are very patchy, and this project is going both to document and analyse the emergence, purpose, development and closure of these institutions. The project blog is now up and running, so do have a look at Fiona’s first postings, and subscribe here. 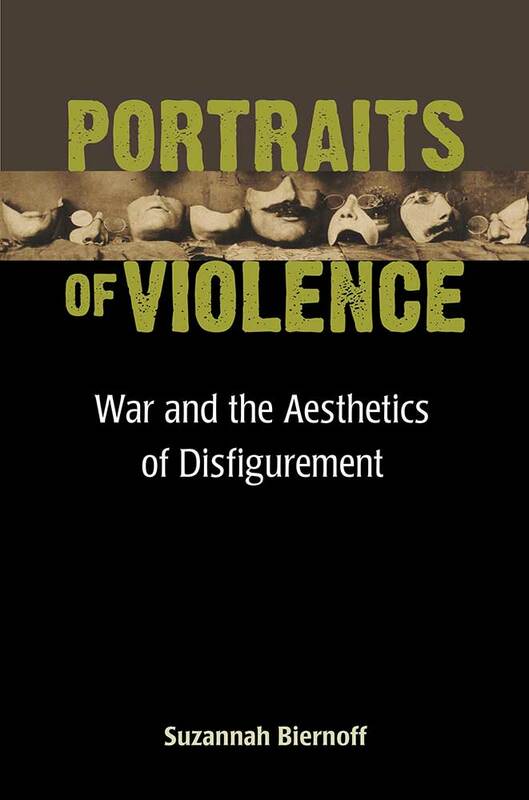 Meanwhile, I am delighted to announce the publication of Dr. Suzannah Biernoff’s new book, Portraits of Violence: War and the Aesthetics of Disfigurement, by University of Michigan Press. Many of you will know of Suzannah’s research in this area, whether through the seminar and conference papers she has given over the last few years, or through the material she has incorporated into her teaching. Two of her presentations which I remember particularly vividly concerned material to be found in a chapter of the book on Henry Tonks’s drawings of WWI facial casualties, comparing them to medical photographs in the Gillies archives, and one dealing with the extraordinary appearance of the image of one of Tonks’s patients in BioShock, a major computer game. These are two case studies in her powerful study of the image and idea of facial disfigurement, as a symbol and consequence of war. It’s an important contribution to disability studies, art history and visual studies, and literature on the first World War. And it’s already elicited this kind of critical response, from the very eminent Sander Gilman: ‘A powerful and engaging study of the politics of representation of facial disfigurement in medical and mass culture, Portraits of Violence is a substantial addition to the study of visual culture and disability.’ Congratulations Suzannah! I’m going to end this blog with another welcome piece from Dr. Laura Jacobus, who has a major article coming out this month in the journal Art Bulletin (100, June 2017). Here she explains how her teaching at Birkbeck has fed into the work showcased in this forthcoming publication: ‘”Propria figura”: The Advent of Facsimile Portraiture in Italian Art’. “I’ve written a couple of times for this blog on the subject of ‘research-led teaching’, a concept which is fundamental to Birkbeck’s work, though the many ways we put it into practice are not always obvious. This time, I thought I’d write about ‘teaching-led research’, which seldom gets talked about, but which is also fundamental to our work as scholars. 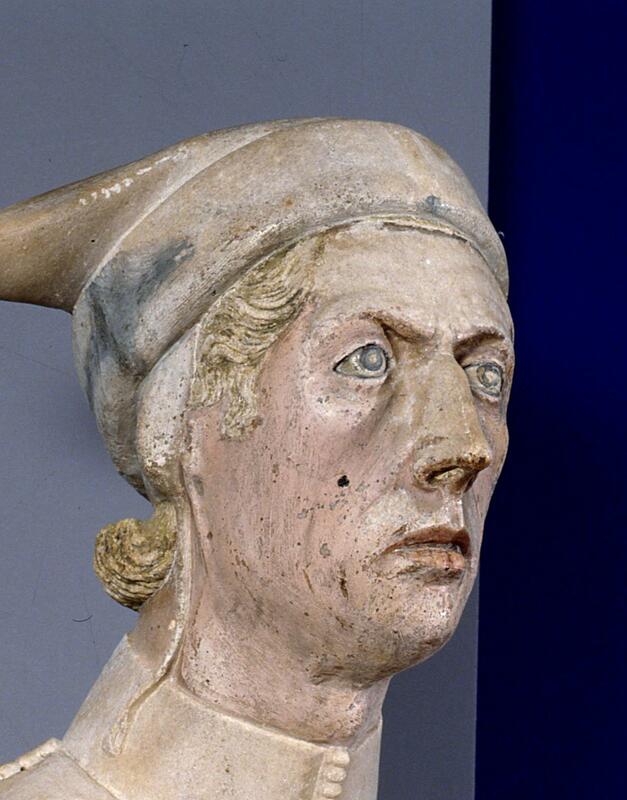 In the June edition of the journal, Art Bulletin, I’ll be arguing that a statue of the businessman Enrico Scrovegni, made around 700 years ago, is the earliest known accurate image of any human being. But how did I reach this conclusion? 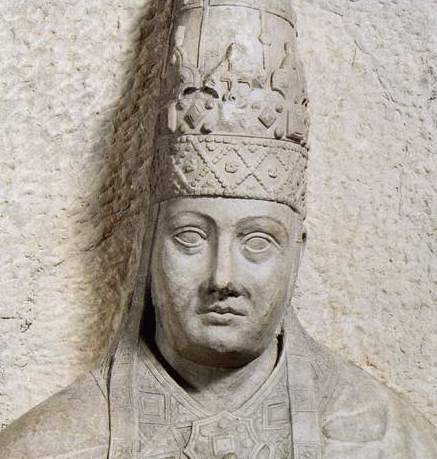 It’s a long story, but it began when I was teaching a class of second-year BA students and I showed them a slide of Arnolfo di Cambio’s Portrait of Pope Boniface VIII. Enrico Scrovegni was one of the wealthiest men of his era, and a colourful character – a bit of a scoundrel, who personally knew Giotto and (probably) Dante, two of the greatest painters and poets of all time. He owned the breathtakingly beautiful Arena Chapel in Padua, where his true portrait can still be seen. I reached this conclusion by digitally comparing two sculptures of Enrico at different times of his life, helped by my colleagues Liz Drew and Nick Lambert. I found that, although the sculptures of him as a young man and a very old one looked quite different, their underlying bone structures were identical. This is something that no artist could have achieved by simply observing their subject at a sitting. In fact, until the invention of photography in the nineteenth century, most ‘true’ portraits were just approximations of the sitters’ appearances. 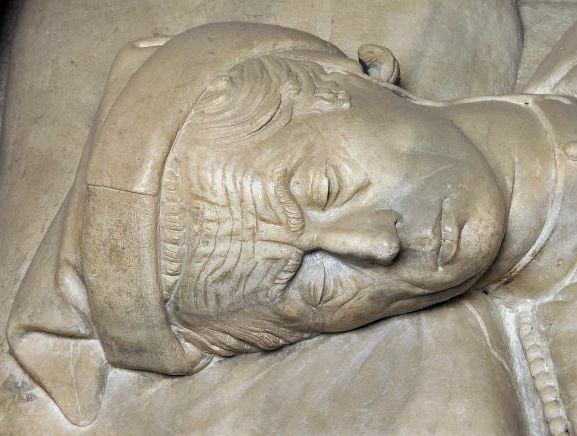 For Enrico’s accurate portrayal the sculptors would have had to constantly take very precise measurements of Enrico’s face using three dimensional instruments. It wouldn’t have been feasible to do this with their sitter ‘in the flesh’, so the only way round the problem would have been to make a plaster cast of his face. A contemporary description of the process tells us that Enrico would have had to lie on his back with breathing tubes up his nostrils while the cast was being made. The artist would have tried to keep the customer happy by mixing the smelly plaster with rose-water, and greasing his eyebrows so that they didn’t hurt when the cast came off. The results were worth it.